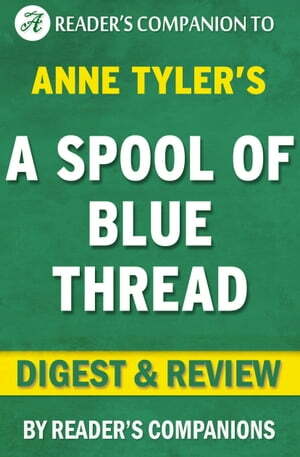 Collins Booksellers - A Spool of Blue Thread: A Novel By Anne Tyler | Digest & Review by Reader Companions, 1230001206661. Buy this book online. When Junior Whitshank built the house, he fell in love with it. After months on the construction site, thanks to a little bit of luck and trickery, he was finally able to buy it and make it a home for him and his family - fulfilling a long-time dream. Years went by and Junior and his wife grew old, the house becoming the life of their son, Redcliffe, who is now 70 years old. Together with his wife, Abby, they start to notice the toll that their age is taking on them as she starts to show symptoms of Alzheimer's and Red slowly loses his hearing. Luckily for them, their grown up children decide to come back home to take care of them. With so many people under one roof, it's bound to take some time before everyone learns how to get used to this new situation.